A seagull interrupted a TV weather report... twice in four days! It's not every day that a seagull interrupts your weather report, but for anchor Tara Jean Stevens, it happened twice! 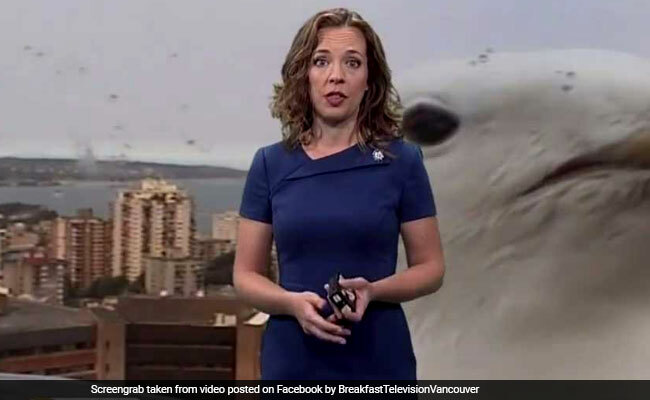 A video shared by Breakfast Television Vancouver on August 1 quickly went viral after a seagull hijacked the channel's live skyline camera, sending the presenter - Ms Stevens - into giggles. "I won't let him distract me," asserts Ms Stevens, before admitting, a minute later, "Okay, that is distracting" as the seagull examines the camera behind her. She then finished her report on the heatwave in Canada while giggling several times. Since being shared on Facebook on August 1, the video has been viewed over 45,000 times. Ms Stevens later called it 'One of the greatest moments' of her broadcasting career. Even though it made no comments, its innocent presence still sent Ms Stevens and her co-host into a fit of giggles.